In Austin where I live, the Texas Fertility Center has been promoting a free “ovarian reserve testing” event to women who are concerned about their chances for getting pregnant–either now or in the somewhat-distant future. 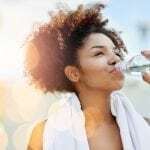 I caught wind of this promotion, which also was the focus of a recent KTBC Fox 7 Austin news segment, after a friend of a friend shared the clinic’s post about the event on Facebook. 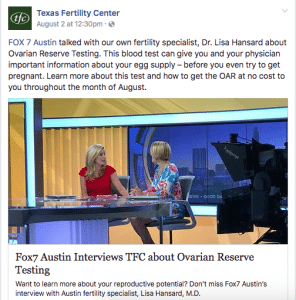 A recent Facebook post from Texas Fertility Center on ovarian reserve testing. I would urge women (and journalists) to be cautious about these events. For a woman who isn’t actively trying to become pregnant, they come with questionable benefits and significant potential risks. These risks aren’t addressed in any of the promotional materials I read, nor in the KTBC news segment. What the tests typically measure: FSH (follicle stimulating hormone) and estradiol (estrogen) on day 3 of the menstrual cycle, and AMH (anti-Mullerian hormone), measured any time. Notably, these tests aren’t special–they’re available at most ob/gyn offices. Like any screening test, they’re not perfectly accurate–and they’re far from definitive. They’re considered only part of the testing process to search out causes of infertility. When marketed by fertility clinics, they take on a different scope: To get new patients in the door. They do this in what I would say is a deceptive way, by framing these tests inaccurately as special “baby deadline” tests and “egg checks” and other simplified misnomers that play off the fears of women who aren’t ready yet to start a family, but may want to one day. Undergoing these tests at a fertility clinic event can unfold in potentially harmful ways. First, the clinics have a business incentive to encourage their new clients to freeze their eggs or take other pricey steps to “preserve” their fertility sooner rather than later, regardless of what their ovarian reserve testing reveals. This was a potential risk we pointed out in our 2016 review of an NBC News story that told female readers they can “beat their biological clock” with an AMH “baby deadline test,” but didn’t point out any negative consequences of such testing. 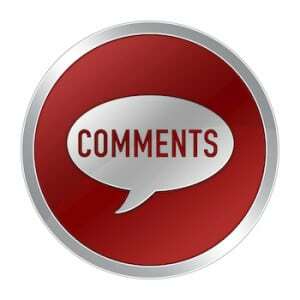 “Women may act upon the test results–for example, undergoing invasive and expensive treatments like egg retrieval and freezing–when those actions may have not been necessary,” reviewers noted. On the flip side, women who find out they have a “normal” ovarian reserve may leave the screening event reassured that they should be in no rush to try and have a baby. But that’s also potentially harmful, because there are far more factors involved in getting pregnant than what these tests can reveal. “Not to mention ‘male factor’ that causes about 25% of infertility,” she added. Promoting these events to the general public, including “anyone who wants to learn more about the test and fertility testing in general,” as the Texas Fertility Clinic representative described it in the KTBC interview, will invariably attract women who don’t fit the profile for testing. There are several reasons why. 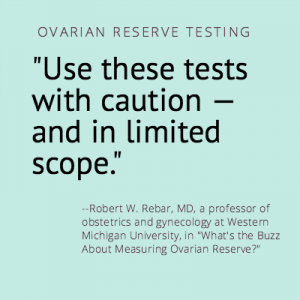 One big drawback is that test results can fluctuate “considerably” from menstrual cycle to menstrual cycle, explains Robert W. Rebar, MD, a professor of obstetrics and gynecology at Western Michigan University. Also, evidence of a lower egg count doesn’t necessarily equate with inability to conceive, he noted. “It means that these tests have very little value in providing predictions regarding the possibility of future pregnancy for individual women. It means that we are likely to worry more normal women unnecessarily when suspicious results are obtained on ovarian reserve testing of large numbers of women,” he says.